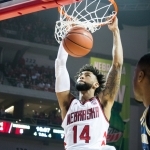 Junior forward Isaac Copeland led the Huskers in scoring with a game-high 23 points in Nebraska’s 60-54 win over Rutgers at the Rutgers Athletic Center in Piscataway, N.J. on Wednesday night. Photo by Kenny Larabee. It was an ugly rock fight at times, but Nebraska (15-8, 6-4 Big Ten) grabbed a 41-32 lead with 14:52 left and never looked back. The Huskers defeated the Rutgers Scarlet Knights 60-54 on Wednesday night at the Rutgers Athletic Center in Piscataway, N.J.
Rutgers (12-10, 2-7 Big Ten) got it down to a two-point game four times after Nebraska took that nine-point lead, but junior guard Glynn Watson’s monster layup to put the Huskers up six with 29 seconds left was ultimately the final nail in the coffin. He also forced a charge from Rutgers’ star point guard Corey Sanders with 14 seconds left to give Nebraska the ball back up four. Watson finished Wednesday with 10 points, four rebounds, three assists and a steal. He still struggled a bit, going 5-for-12 from the floor including 0-for-3 from beyond the arc, but it was the first time in five games that Watson put double digits in the scoring column. 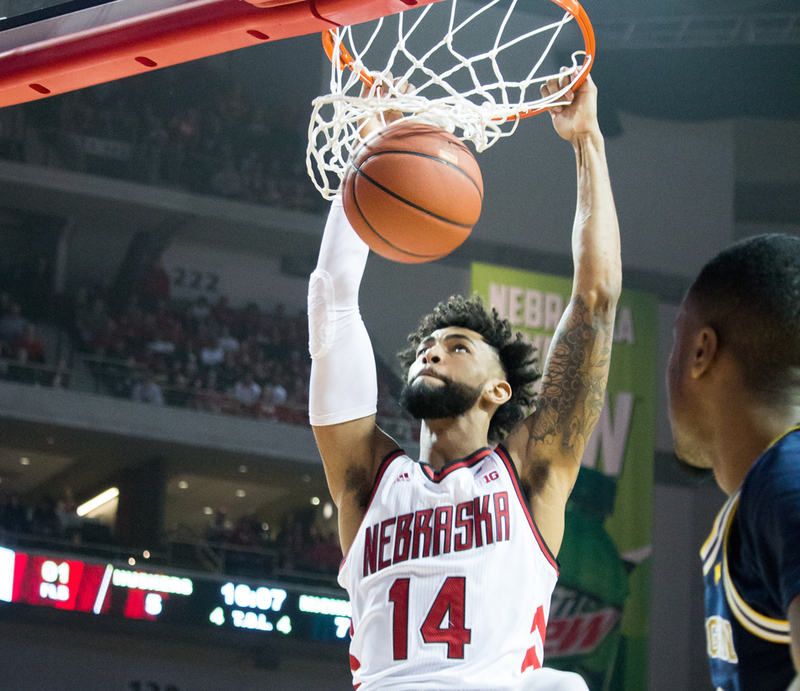 Junior forward Isaac Copeland led the Huskers with a game-high 23 points on 9-for-15 shooting along with seven rebounds, two blocks, an assist and a steal. Junior guard James Palmer continued his stretch of solid play, dumping in 18 points, six rebounds, four assists, and two blocks. Sophomore forward Isaiah Roby was also clutch, packing the stat sheet once again with eight points, eight rebounds, three steals, two blocks, and an assist. He fouled out with 19 seconds left, but stayed on the floor after picking up his fourth foul at the 5:18 mark. As expected, Nebraska had some struggles offensively, shooting 39.6 percent (21/53) from the floor and committing 16 turnovers against the best scoring defense in the Big Ten. The Huskers also got rebounded for the sixth time in seven games, including 20-12 on the offensive end. 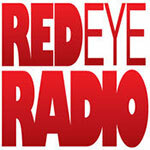 On the flip side, Nebraska made three more three-pointers, made five more free throws, and out-blocked Rutgers 6-1. While Nebraska was only 5-for-18 from downtown Wednesday, Rutgers was only 2-for-12. The Huskers’ three-point percentage defense (30.4 percent) ranks first in the Big Ten. Nebraska is back at home on Saturday evening for a showdown with border state rival Iowa (11-11, 2-7 Big Ten). Tip-off from Pinnacle Bank Arena is set for 7 p.m. The game will be televised on the Big Ten Network.